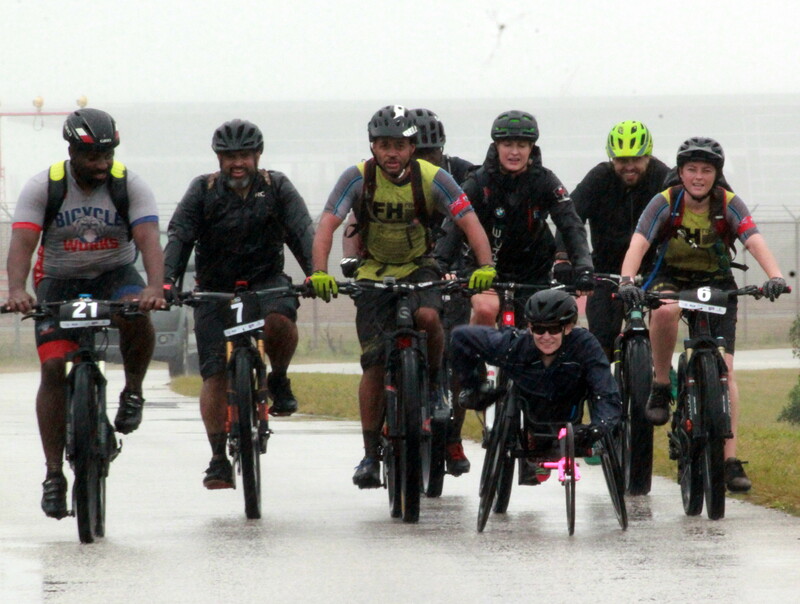 The rain couldn’t dampen the day as some 50 participants took part in the Pedal for Paralympics riding from Dockyard to St. George’s. The riders despite the inclement weather took up the challenge to help support the Bermuda Paralympic Association. Bermuda’s two time Paralympian Jessica Lewis took the time to roll her chair the Pink Hurricane along the Kindley Field with groups of Cyclist as they rode along. Ann Lindroth and Chris Roque organized the event that saw cyclist travel through Trials and on the main road in at time torrential rain.